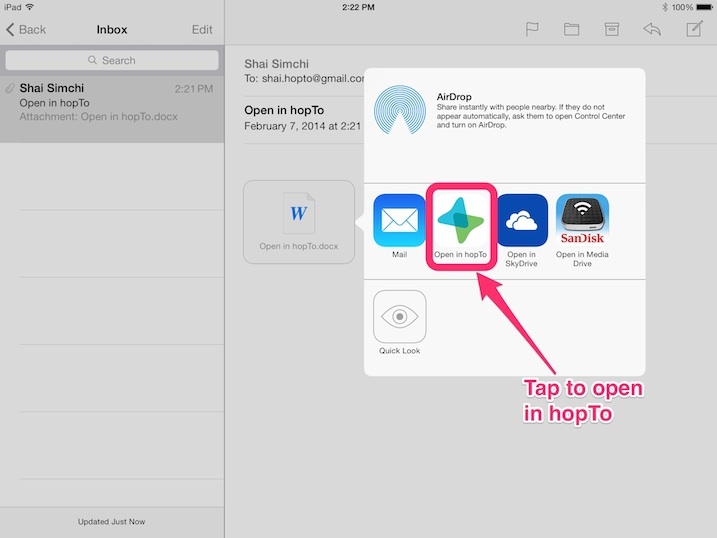 hopTo now allows opening files in hopTo directly from other apps on your iPad. You can open any Microsoft Office document (Word, Excel and PowerPoint) from other apps, directly in hopTo, edit the file (if necessary) and then save it to one of your configured file sources. After the document has downloaded, tap and hold (long press) its thumbnail to get the various "open in" options. Tap on the "Open in hopTo" option. 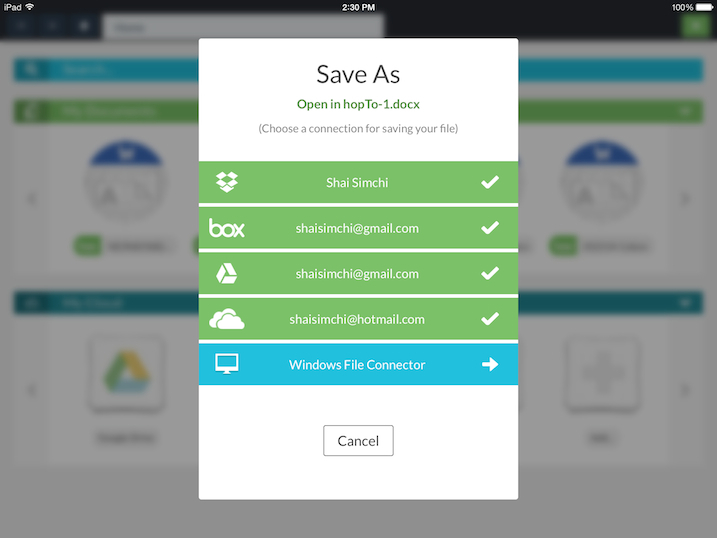 Your iPad will switch to the hopTo app and you will be asked to choose the location in which you want to save your document. Your configured file sources will appear in green. Blue indicates file sources that were not configured. You can only save in configured file sources. Tap to choose where you want to save the document. After the document has finished loading it will appear in a new tab within hopTo. Note that at this stage the document is not yet saved to your designated file source. 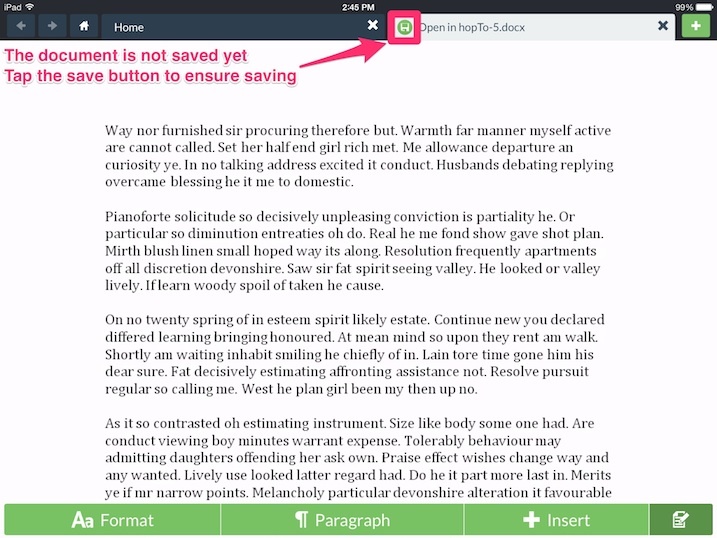 You can now make any edits you wish to make to document and when done, tap the save button. 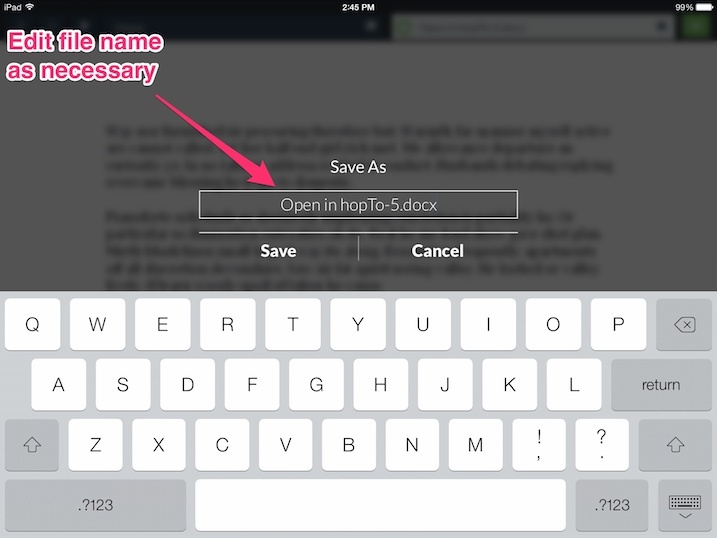 hopTo will suggest a name for your document which you can edit before saving it to your file source. Tap save to finalize. At this point the document you just opened in hopTo from another app, edited (if necessary), is now saved in your desired file source and is available for further editing with hopTo. 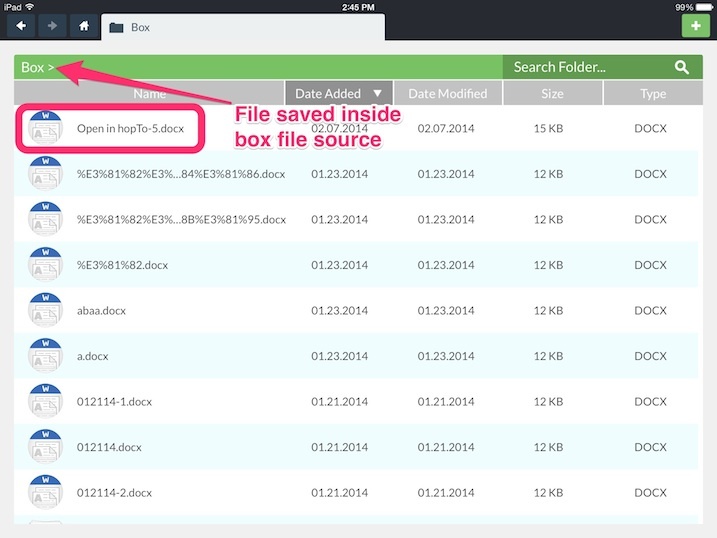 You can see the file in the "Recent Files" pane as well as within the file source of your choice. After the document has downloaded, tap its thumbnail to view the document. Inside the document tap the "Open In" button to get the various "open in" options. At this point, follow the instructions exactly as described above start at step #3.